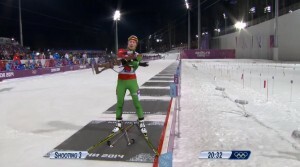 As someone who is not as young as the average Olympian, it was wonderful seeing Norway’s Ole Einar Bjørndalen win the men’s 10k sprint biathlon on Day 1 at age 40. There’s still time for me! 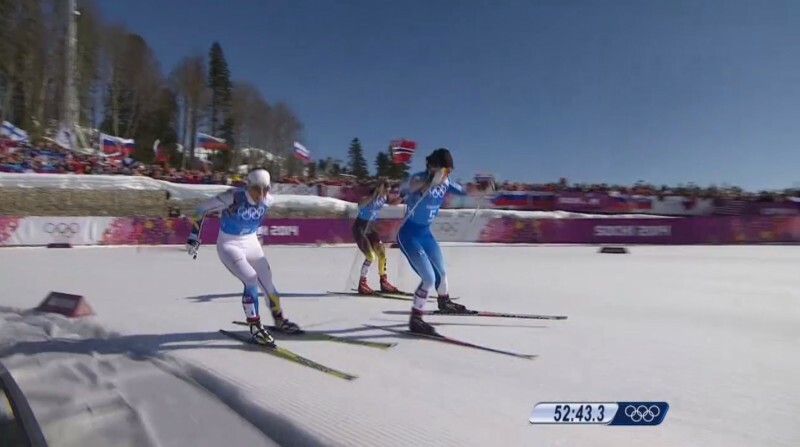 Did you see the Russian cross-country skier with the broken ski so desperate to finish that he resorted to slowly double-poling around the whole course until the base peeled off his ski and he could go no farther? 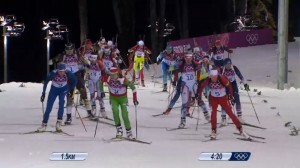 He ended up finishing his sprint semifinal after a Canadian coach ran up to him on the course to give him a spare ski. That’s the Olympic spirit right there. 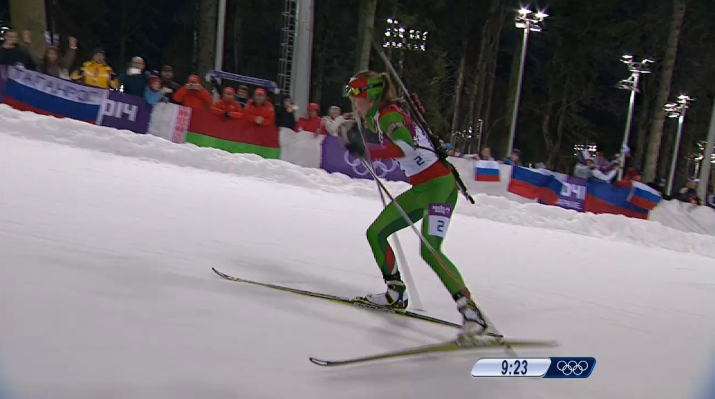 The star of this year’s Olympics is, in my book, Darya Domracheva from Belarus. 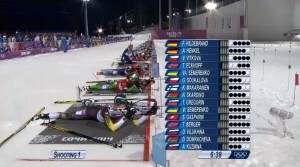 After finishing 9th in the 7.5k sprint biathlon, she made up a 31 second deficit to win the 10k pursuit by almost 38 seconds. 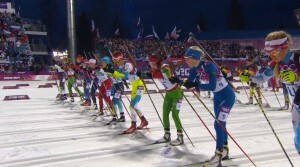 (In the pursuit, skiers are seeded based on how quickly they finish the sprint, with the winner starting first. 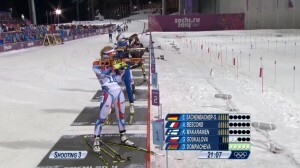 Regardless of when you start, the first person to cross the line wins.) After her victory in the pursuit, she went on to dominate her other two events—the 15k time trial and the 12.5k mass start—winning by big margins. It was incredible to watch such talent. 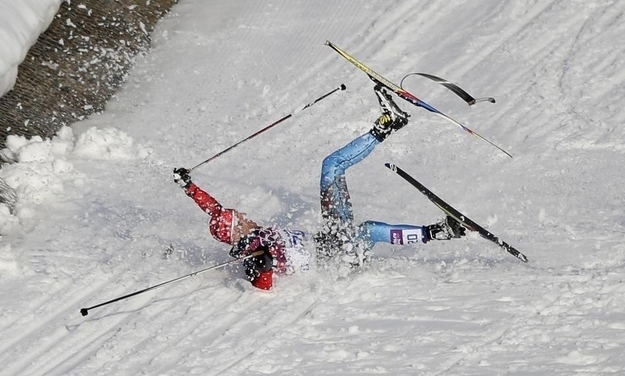 What are your favorite moments from this winter’s games?